Rio 2016: events are in full swing at venues across Rio de Janeiro for this summer's Olympics, so we've collected together 10 of our favourite stadiums and arenas that have hosted the games over the years to see how they compare (+ slideshow). 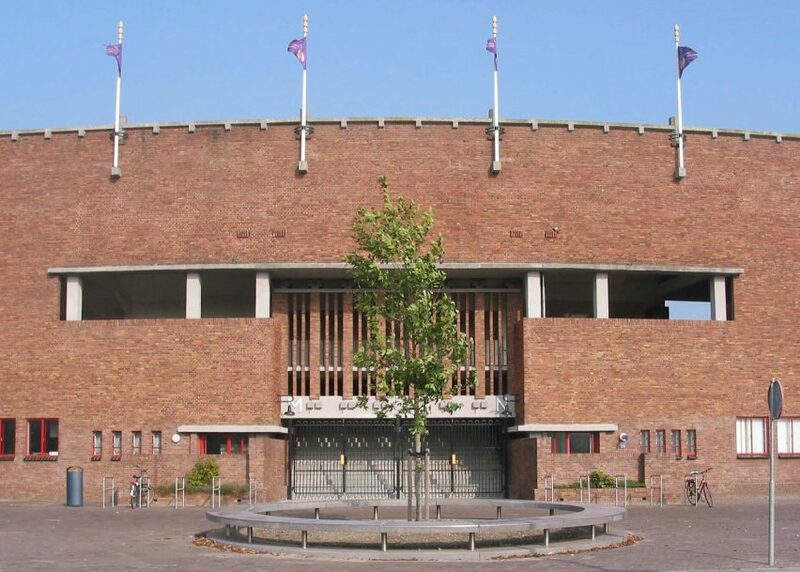 Amsterdam's Olympisch Stadion was designed by architect Jan Wils, and features red-brick external walls that follow the curve of seats inside. Wils added a concrete second ring to the north and south wings in 1937, but these were removed during renovation in 1996 after the building was listed as a national monument. Since 2005 it has served as a museum while continuing to host sporting and music events. 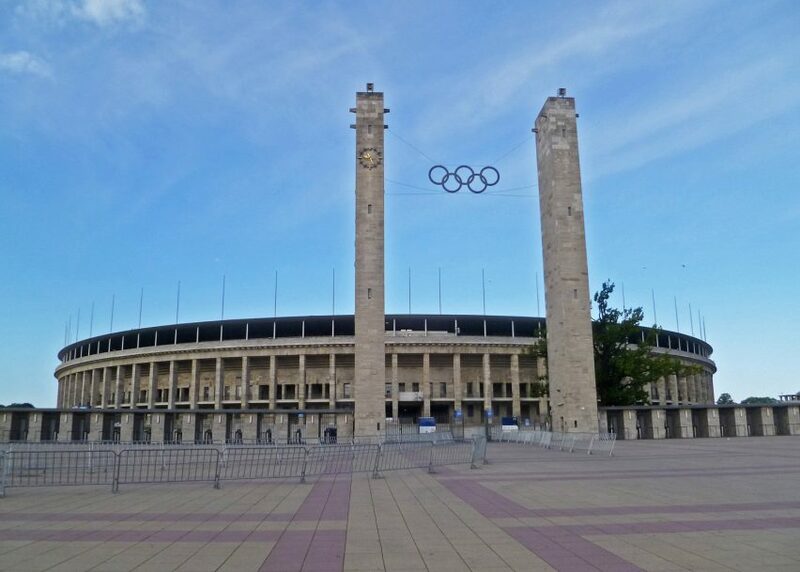 The colossal and controversial Olympiastadion in Berlin had capacity for 110,000 spectators, and formed part of Werner March's Reichssportfeld in the west of the city. The new venue was commissioned by Adolf Hitler, who wanted to use the games to showcase Germany's ambition to the world. The building's 77-metre bell tower was damaged during the second world war, but was rebuilt in the 1960s, while further renovation works took place after Berlin was reunified in 1989. 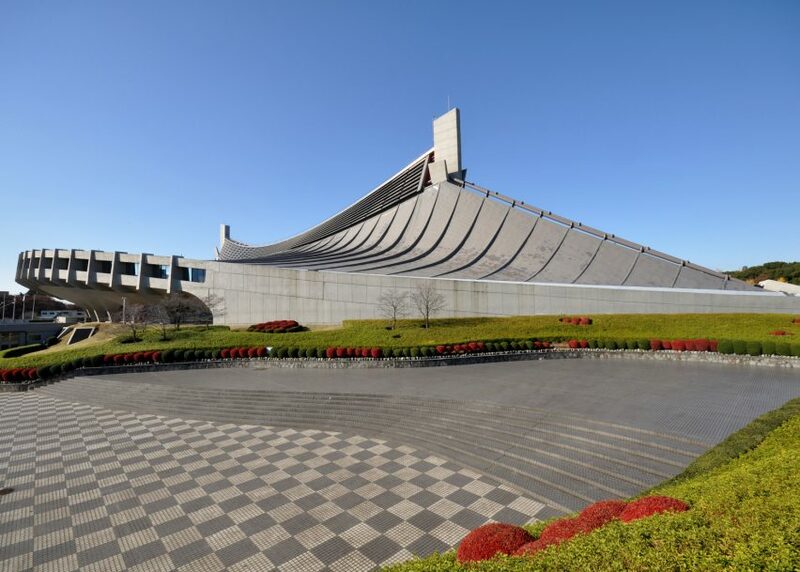 Japanese architect Kenzo Tange's Yoyogi National Gymnasium for Tokyo's 1964 games received critical acclaim for its ambitiously engineered roof structure. Its two halves meet along a central spine, which is strung between towers at either end and held in tension with two large steel cables. It will be reused when the Japanese capital hosts the 2020 Olympics and Paralympics, for which the main stadium proposed by Zaha Hadid was controversially thrown out and replaced with a design by Kengo Kuma. 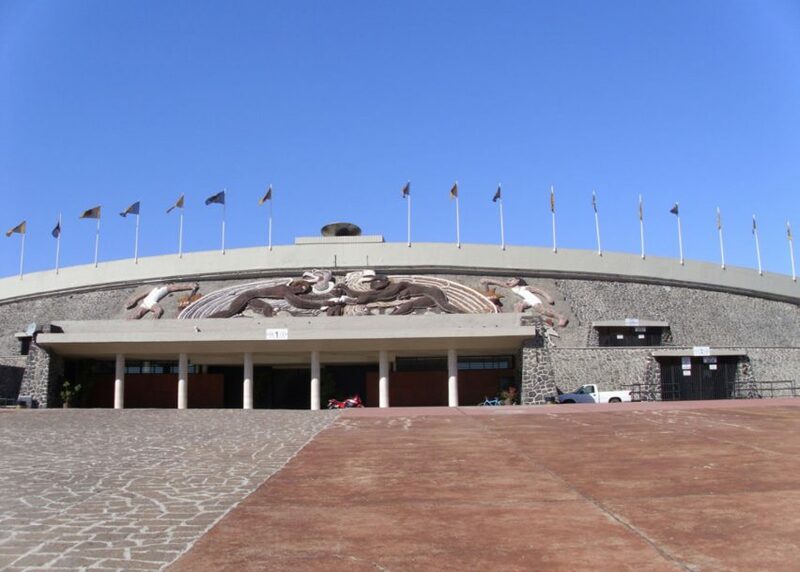 The stadium in Mexico City was completed in 1952, and first hosted the 1955 Pan American Games. Named "the most important building in the modern America" by architect Frank Lloyd Wright, the venue features sloping pebble-dashed external walls and was originally surrounded by patterned flooring. 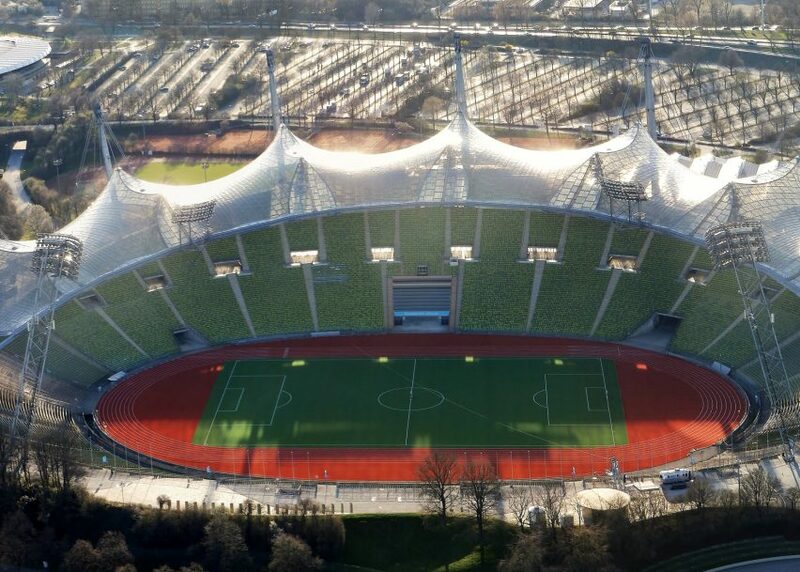 It was expanded for the Olympics to accommodate 83,700 spectators without altering much of the original structure. One of the most celebrated projects by Frei Otto – who was posthumously awarded the Pritzker Prize in 2015 – is his Olympics park in Munich. The venues demonstrate his pioneering use of tensile and membrane architecture, which he used to form lightweight canopies across large areas of the complex. However, the games itself was overshadowed by the massacre of members of the Israeli team. 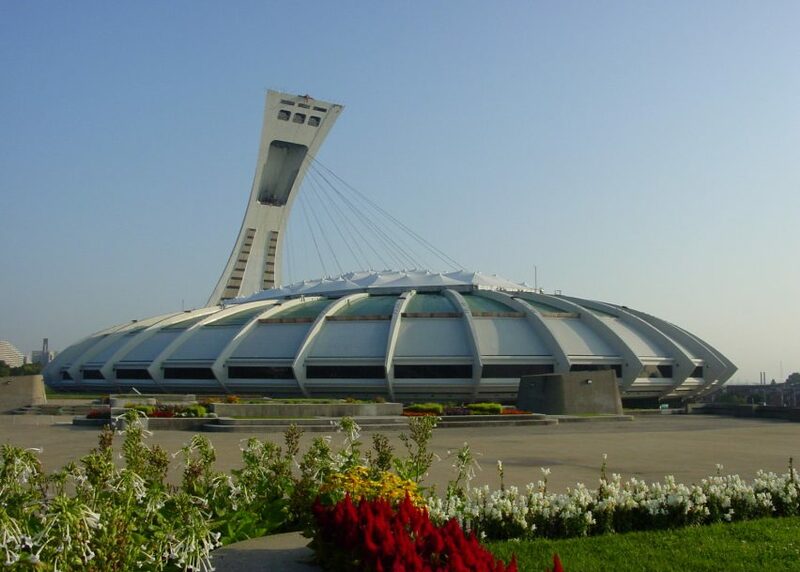 The purpose-built stadium for Montreal's games was nicknamed The Big O as a reference to its donut-shaped roof. French architect Roger Taillibert designed the roof to be retractable, using cables suspended from an inclined 175-metre-high tower to open and close it. Located in LA's University Park and first opened in 1923, the Los Angeles Memorial Coliseum was the first stadium to host the summer Olympic games twice. John and Donald Parkinson gave the inside pastel-toned accents and made a feature out of the torch pedestal, sat above the entrance at one end. 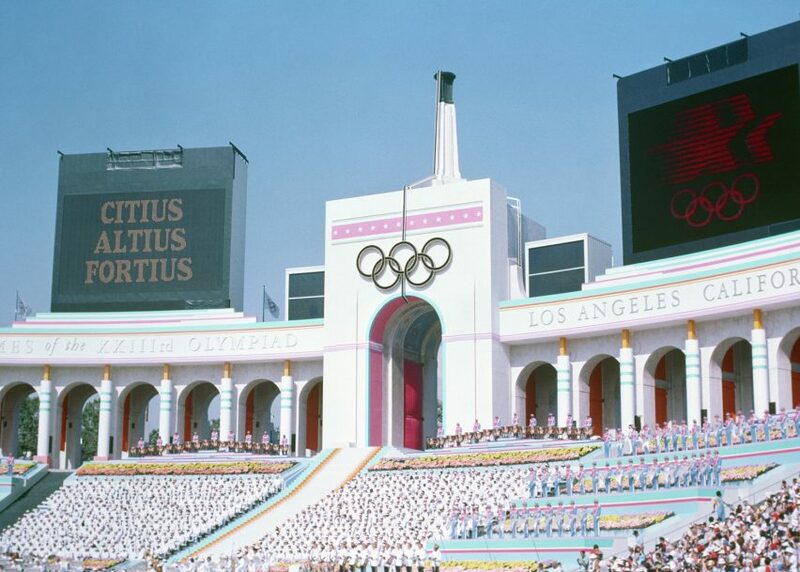 The stadium is also proposed to be used if Los Angeles is selected for the 2024 games. 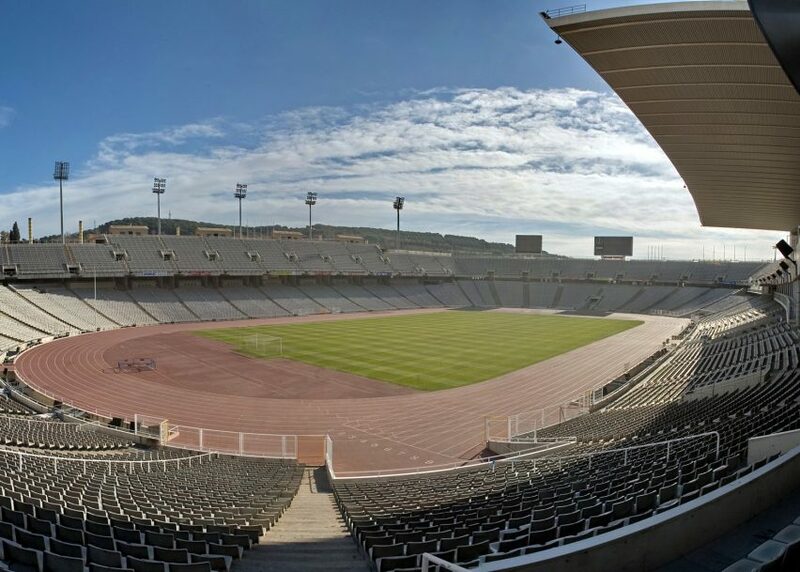 Originally built in 1927 by architect Pere Domènech i Roura, the stadium now known as Estadi Olímpic Lluís Companys was renovated by Italian architect Vittorio Gregotti ahead of the 1992 games. The facades were the only portions retained, while new open-air stands were created around the bowl-like arena. The showpiece for China's first Olympics, which involved many vast construction projects that proved controversial due to the demolition of large portions of Beijing, was the monumental athletics stadium. 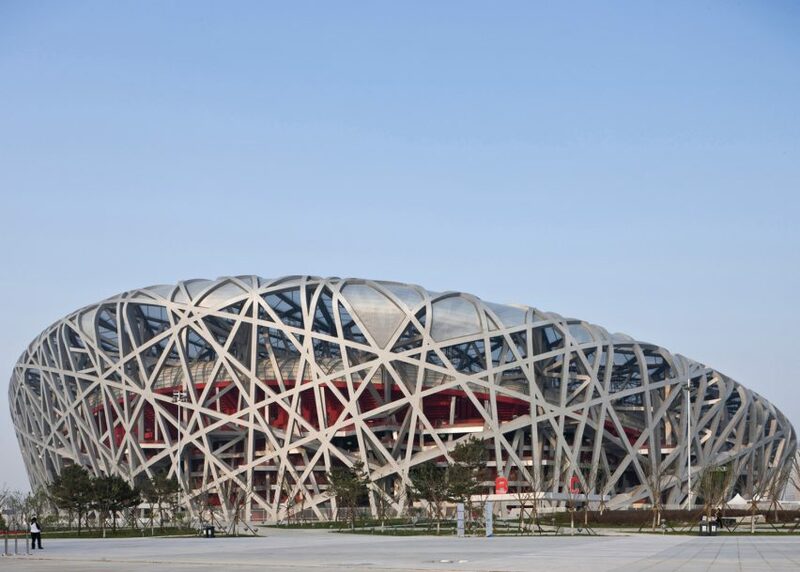 Swiss firm Herzog & de Meuron created a lattice of metal-clad elements that criss-cross around and over the stadium, giving it its nickname Bird's Nest. 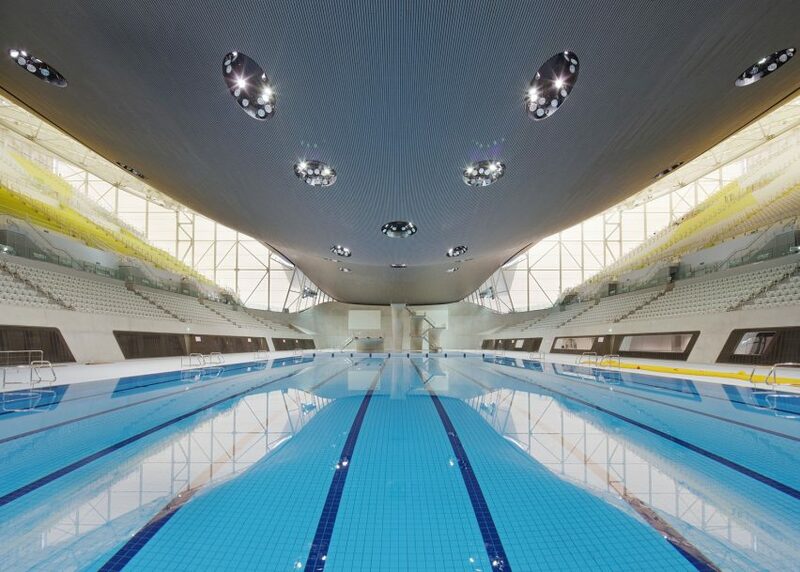 Despite competition from the Pringle-shaped velodrome, Zaha Hadid's Aquatics Centre stole the show architecturally at the last summer Olympics in London. The building features a dramatic swooping roof, which was fully revealed when the extra seating wings were removed after the games. Inside, curving concrete walls and tongue-like diving boards epitomise the late architect's signature style.